The award is given by bloggers to other bloggers. It’s a way to recognize each other’s work and to share and learn more about each other. I am so glad that Carrie and I met a few years ago. 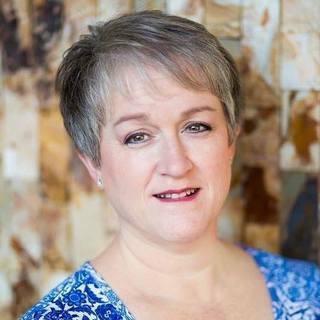 She is a great support in the business of blogging, and she is a great friend, too! 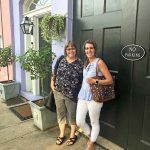 We were lucky enough to attend the Haven blogging conference together last summer. 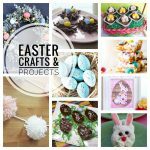 Carrie’s blog is a fun mix of fashion, crafts, home decor and recipes. I really enjoy following her blog. We took the below photo while sightseeing together in Charleston, S.C., during the Haven conference. Where are you going on vacation to this summer? If nowhere, where would your dream vacation be? I’m not sure where my family and I are vacationing yet! We adopted a puppy about a year ago, and aren’t ready to board him yet. So we most likely will be taking a road trip together with our puppy. I’m thinking maybe we could travel to Lake Placid, N.Y., or maybe to Stowe, Vt. But it’s still up in the air! I would love to take an all-inclusive vacation to maybe the Caribbean or Hawaii someday and just lie on the beach and by the pool and sip tropical drinks. What is your favorite beverage (alcoholic, nonalcoholic or both!)? I love classic margaritas on the rocks. When it comes to everyday non-alcoholic drinks, I have a passion for Snapple Lemon Tea. Do you make a summer bucket list? I do! But I haven’t made my summer bucket list officially yet. I hope to spend time this summer at the pool club with my family, enjoy a vacation with my husband, kids and puppy, take day trips and enjoy fun times with friends. One of my favorite day trips is enjoying the beach and Korean tacos on the boardwalk with sweet family friends. Do you take a blogging break in the summer? Blog more, less, same? I tend to blog less in the summer. Blog readership is usually down in the summer anyway, and I like spending more time with my family and enjoying the warm summer weather. Perfect/favorite summer date night? I love going to the movies, so a fun date night for me would be going to the movies, sharing a big bucket of popcorn and going out to dinner with my husband. And maybe getting a margarita or two! If we could mange a seafood dinner (my fave are scallops and lobster) at a nice restaurant on the beach, that would be awesome! What are your favorite items to grab at the Farmers Market during the summer? My most favorite summer item is fresh corn on the cob from a local farm market. I also adore watermelon, blueberries, raspberries and blackberries. It’s more fun if we pick them ourselves! If you could have an entire day to yourself, what would you do? I would sleep in late, enjoy a nice lunch and maybe get a massage, manicure and pedicure at a spa. Tee from Beauteefulliving: Tee and I met a few years ago at a blogging conference. 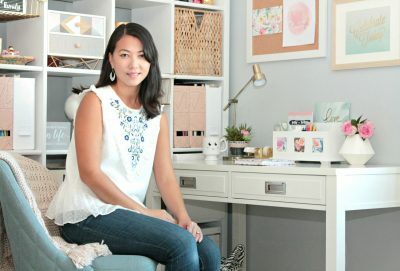 Tee has a beautiful decorating style and is a fun lunch partner! She and I love to try out different cuisines together — and get in some shopping. Tee and I could talk for hours at our lunches and have to remember to put in our order! Julie from My Wee Abode: Julie and I met at last summer’s Haven blogging conference. We are now in a “tribe” of bloggers — as bloggers, we support and help each other out. 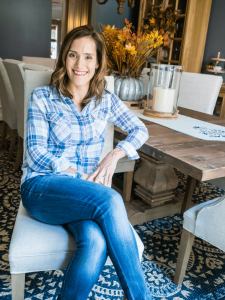 I really like following Julie’s blog – her focus is on “big inspiration for small home living.” Julie really has some smart ideas for squeezing in a lot of style and storage in a small space. She also has a really refreshing, upbeat demeanor and a sweet attitude. Crissy from First Day of Home: Crissy and I also met at the Haven blog conference and are part of the same small “tribe” of bloggers. 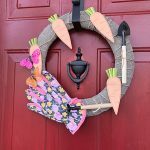 Crissy is a fellow mom of twins and is an amazing crafter! 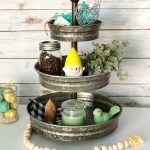 I love checking her blog to see her homemade decor for each season. As a blogger, where do you get the most inspiration? What is your dream home renovation project? 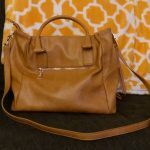 What blog post that you’ve written is your favorite? Are there any bloggers who especially inspire you? How do you describe your home decorating style? Where would you go and what would you do on your dream vacation? 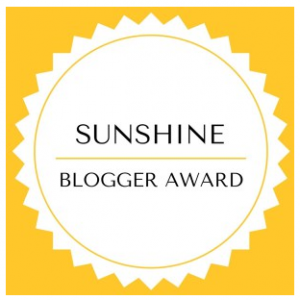 I am looking forward to reading my Sunshine Blogger nominees’ posts! 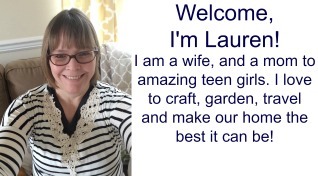 Lauren, I’m so honored to be included in your list of nominees! Thanks so much for the shout out. 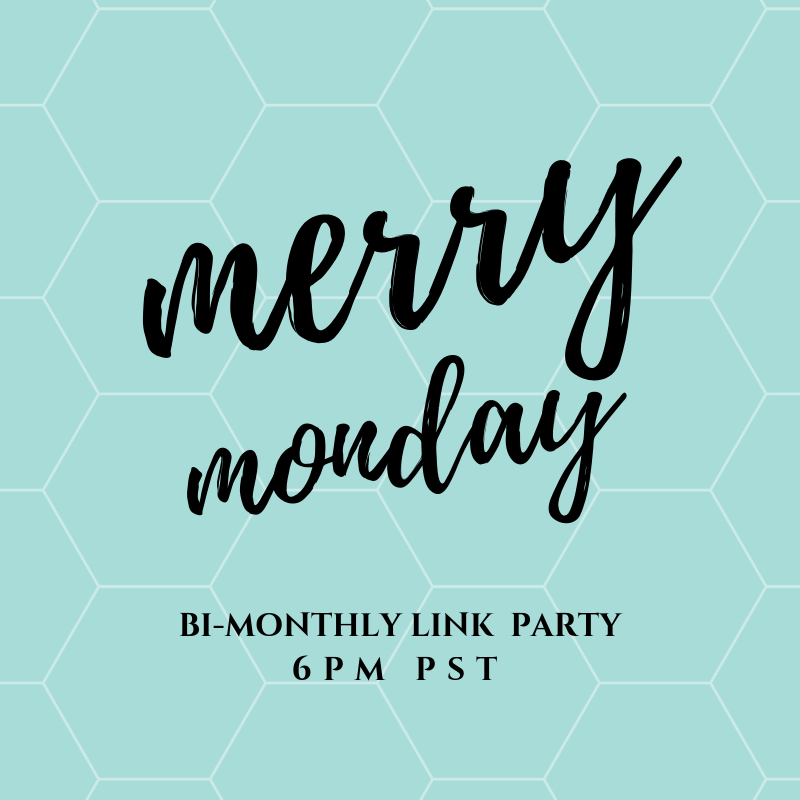 I’m excited to answer your questions and also spread some love to fellow blogger friends. You’ve been a wonderful friend, and I’m so glad to have met you last year. Hi, Crissy! I am glad we’ve met, too! 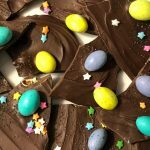 You are a great blogging friend, and I really do admire your blog! Sorry I am just now reading this… it has been a busy week!! Aww, you’re my blogging bestie, so of course I had to pick you!! 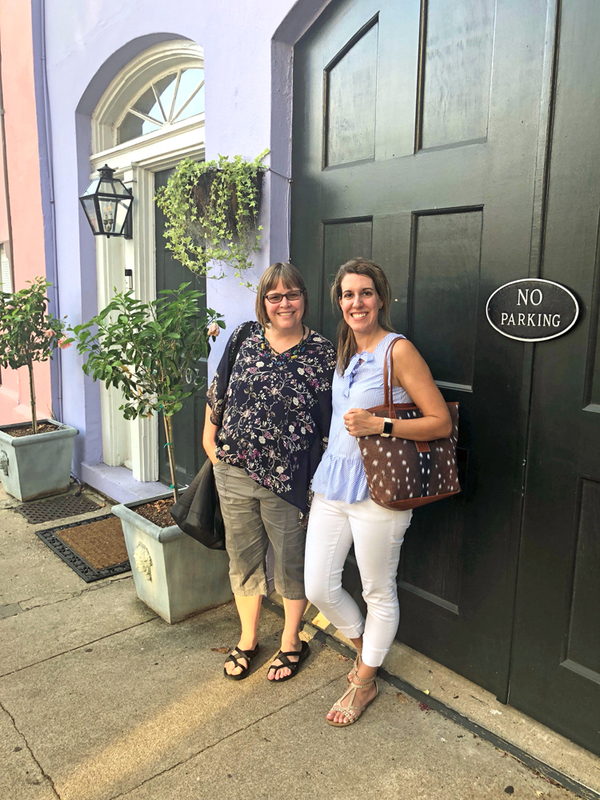 I loved our time in Charleston and that we got to do a little conference time together and sight seeing! I can’t believe you didn’t mention tomatoes, those big juicy tomatoes are my fave from the farmers market. I have never been to Vermont. I am jealous that you can drive to the ocean and one of these days I need to try Korean tacos! Hi, Carrie! Thanks for being my blogging bestie! You’ll have to come out to New Jersey sometime to go to the beach and get Korean tacos!